Kirsten Heimann established and is the director of the North Queensland Algal Identification and Culturing Facility at JCU, Townsville, Australia and leads a microalgal research team focusing on developing microalgae for carbon dioxide, nitric oxide and waste water remediation whilst generating valuable co-products. She also leads the methane remediation from underground coal mines project. 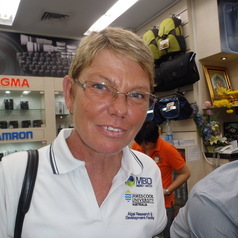 She has published extensively in high-ranking journals including Nature, and her research and teaching has won several awards, the most recent being the Women in Technology Regional Development Award, The North Queensland Coorporate Business Women of the Year Award in 2011 and second prize in the Trailblaizer competition for her pitch on Waste- and Solar-powered Sustainable, Renewable Biofuels, James Cook University, 2012.